How is your system landscape health condition in general? Which are the most critical technical issue that happened last week? Which systems are much slower than the long-term average? All this questions can be answered fast by using the new app SAP EarlyWatch Alert Workspace. 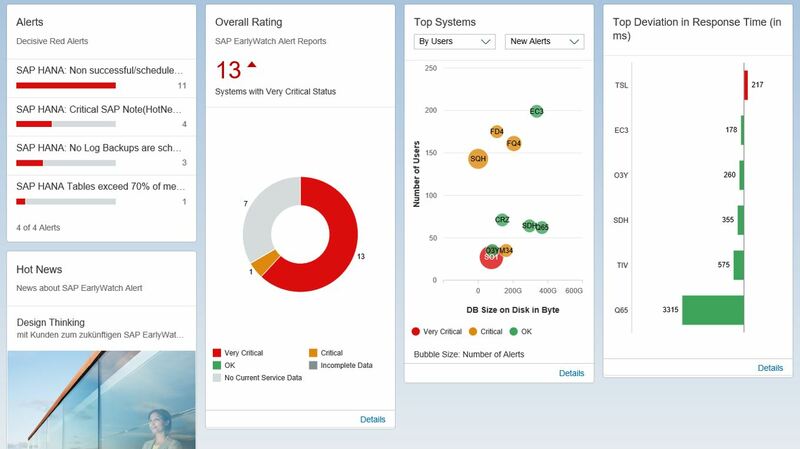 This new application is the central landing page for all SAP EarlyWatch Alert applications. 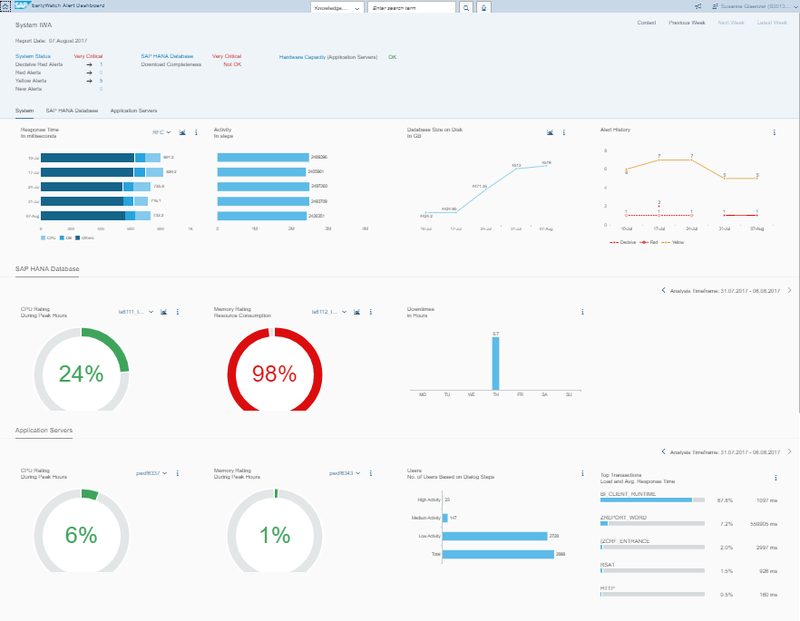 The SAP Fiori Overview Page shows the most important results from the latest service reports across all systems, that the user is authorized to see. The link http://launchpad.support.sap.com/#/ewaworkspace is available since on 1st of September 2017 and can be access by clicking on the tile SAP EarlyWatch Alert Workspace in SAP ONE Support Launchpad. It can also be included in the other SAP Fiori Launchpads as explained in KBA 2517661 . 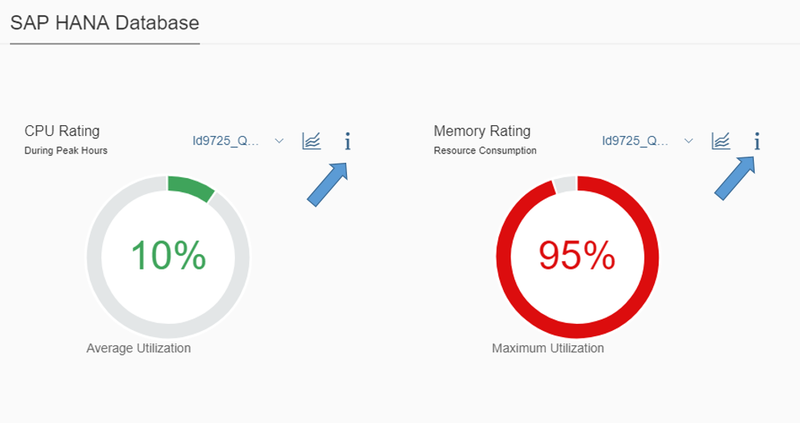 The EWA Fiori Apps show service results for on-premise and private cloud systems, e.g. ERP on HANA, S/4HANA or BW on HANA. The EWA service is activated in SAP Solution Manager on-premise and the Send to SAP flag is set in the app Configuration – SAP EarlyWatch Alert. The data is sent directly from the monitored system, as described in SAP Note 207223. Private Cloud scenario: The data is sent from the Solution Manager of the private cloud provider to SAP. You need a user in SAP ONE Support Launchpad with the authorization Service Reports and Feedback for the respective customer numbers. See also SAP Note 1684537 for troubleshooting the data collection and sending. In case of any issue with the application open an incident on component SV-SCS-EWA. Alerts: Find the most serious issues in the landscape! Clicking on the card will open SAP EarlyWatch Alert Solution Finder. This is a global text search tool on all results of the latest service reports. It lists all systems affected by specific alerts, as well as all recommendations and description texts. It provides a worklist, which actions should be taken and provides links to the detailed report chapters. Overall Rating: This donut charts shows the overall rating of all systems. In addition, the number of systems with incomplete and outdated data. The sections of the donut are clickable and lead to the respective service reports in the application My SAP EarlyWatch Alert Reports. Top Systems: Gain an overview on the largest systems in your landscape! The system health is indicated by the color and size of the bubble. Clicking on the bubble leads to the KPI Overview per system with more details on stability, performance and hardware capacity KPIs. Top Deviation in Response Time: Which systems are much slower or much faster than the long-term average? This can easily be seen by the color of the bars in the chart. Clicking on the bars navigates to a detailed page with a time series of the response time for the last year. 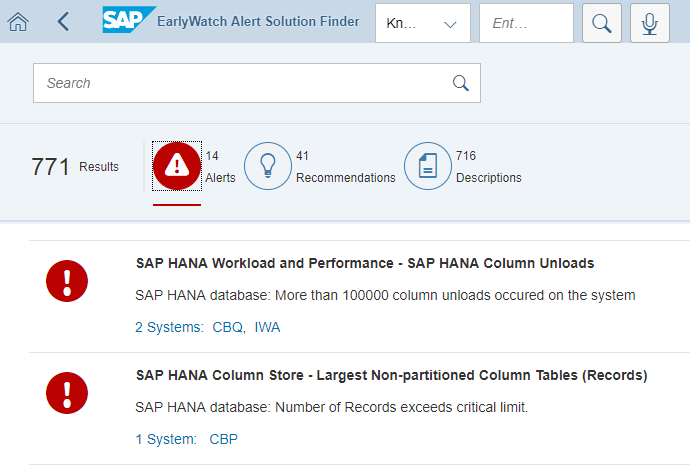 There are two types of documentation available for the new SAP EarlyWatch Alert applications: The WebAssistent documentation that documents the application itself and the features. And the second documentation is for the single KPIs evaluated in the SAP EarlyWatch Alert in the SAP KPI catalog. Web Assistant Documentation: It is a documentation that is activated via the question mark button on the top right side. It opens a bread crump in the lower part of the screen with documentation topics and focus points in the screen of the application, that can be clicked to get details on a pop-up. Have fun using this new application and provide feedback to SAP! Former Member when I first start the application it asks for Customer Number / Customer Name. I’m not able to determine which bit of information the application needs. I’ve tried my Customer Number, my Installation Number, my S-number, and none are accepted. Can you offer some guidance? sorry for the late reply. The filter field for Customer accepts a direct input of the customer name. Or you can use the value help button to get a pop-up with input fields for ERP customer number or customer name. In addtion there is a value help for System: the value-help-dialog allows the input for customer name, ERP number, installation number, system number or system id. this is an authorization issue. Maybe you can not find the authorization, because the name in German is different: “Zugriff auf Servicemeldungen”. Any options on restricting to installation numbers among the customer number? the authorization cannot be restricted by installation number, only by customer number. However, in the app you can set up a view that will only show systems belonging to a specific installation number. If the user defines this view to be the default, the app opens with this restriction.